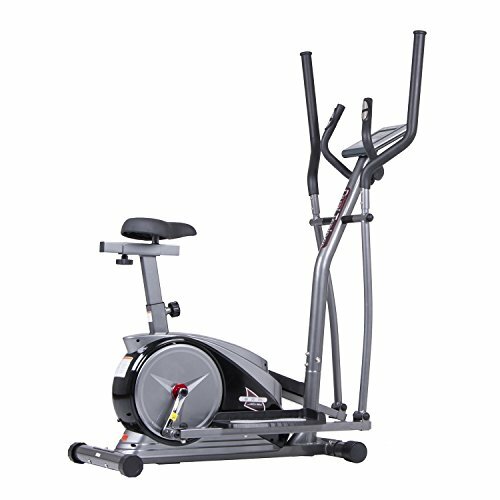 The Body Champ Cardio Dual Trainer is an ingenious two-in-one exercise machine that provides both elliptical trainer and stationary bike workout capabilities. It features patented elliptical motion design technology and an advanced programmable magnetic resistance system that provides smooth, quiet rides with minimal impact to your knees. The LCD exercise computer offers 17+ preset workout programs for you to choose from. Comfort-driven design features: gel-style seat cushion, padded dual-action handlebars, and ergonomic stride length. Enjoy the value of its space-saving footprint without compromising quality and safety. If you have any questions about this product by Body Champ, contact us by completing and submitting the form below. If you are looking for a specif part number, please include it with your message.